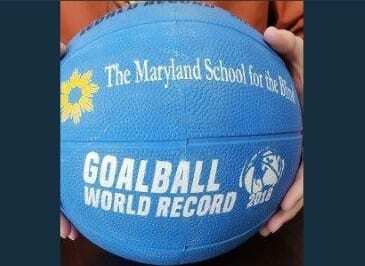 The Maryland School for the Blind has set a Guinness World Record. A word record has been set for the longest marathon game of Goalball, according to the Guinness World Record organization. Teams consisting of MSB students and alumni as well as collegiate, adult, and Paralympic athletes attempted the feat on December 7 and 8, 2018 by playing the physically challenging game for 25 hours and 30 seconds. Goalball is a team sport designed specifically for blind athletes, originally devised in 1946 by Austrian Hanz Lorenzen and German Sepp Reindle as a means of assisting the rehabilitation of visually impaired World War II veterans. 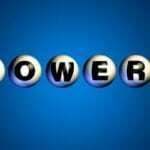 It is a fast-paced game consisting of two teams of three players on both offense and defense. The object of the game is to score goals against the opposing team by rolling a ball, embedded with bells, as hard a possible into the opponents’ goal. Eye-shades are worn by all participants to allow partially sighted players to compete on an equal footing with players who are blind. Teams alternate play and remain in the area of their own goal for both defense and offense. Players must use the sound of the bells to judge the position and movement of the ball and use their bodies to block the ball from going into the goal. 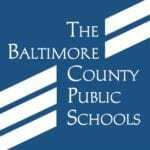 Maryland School for the Blind is located 3501 Taylor Avenue in Nottingham (21236).